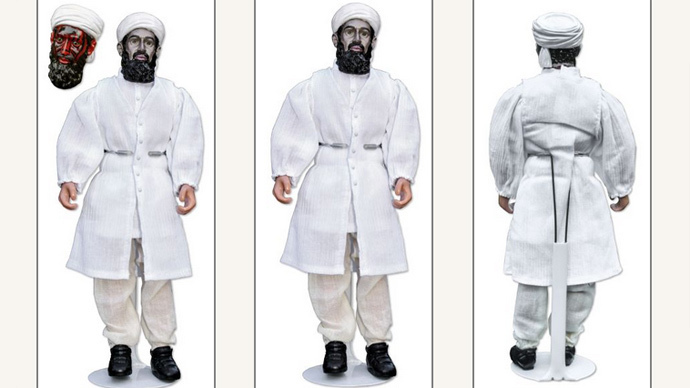 One of only three Osama Bin Laden dolls designed for a CIA 'influence operation' is on sale on a memorabilia auction site. Authored by creator of iconic GI Joe toys they were to be distributed to Middle Eastern children to put them off joining Al-Qaeda. The prototype dolls were codenamed “Devil Eyes” and were created in 2005 by late Donald Levine - a business executive at Hasbro toy giant and the creator of the GI Joe action figures. The scary image of then Al-Qaeda chief was meant to discourage kids from joining terror groups. The CIA however decided not to go ahead with the“influence operation,” and according to the Washington Post, which broke the story in June, two of the evil dolls still belong to the CIA and the Pentagon. 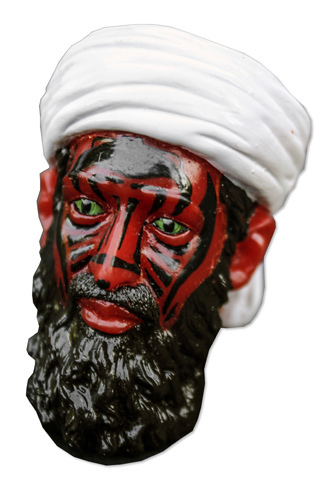 The doll features two heads – the permanent one that Bin Laden’s look-alike representations and the removable one that looks like demon with red and black facial features. The action man is kitted out in traditional Muslim dress with white headband, white tunic and white pants. One of the dolls has been given to the online catalogue of LA-based memorabilia auctioneers Nate D Sanders and has the starting price of $2,500. Although only one bid is currently listed for the whacky doll, Sanders told the news website Mashable that 90 percent of bids normally come in on the last day of bidding and the Bin Laden miniature’s final price is likely to be a lot higher.